Been saving up some time now to acquire this beauty, but now it has finally arrived, and I couldn't be more happy! This is a picture from when I was trying it on in the shop. I love the new design and feel, and the fact that you can change straps so easily. On that matter: were can we find the different straps for this model? At my dealer, they don't seem to have a lot of information, nor pictures. 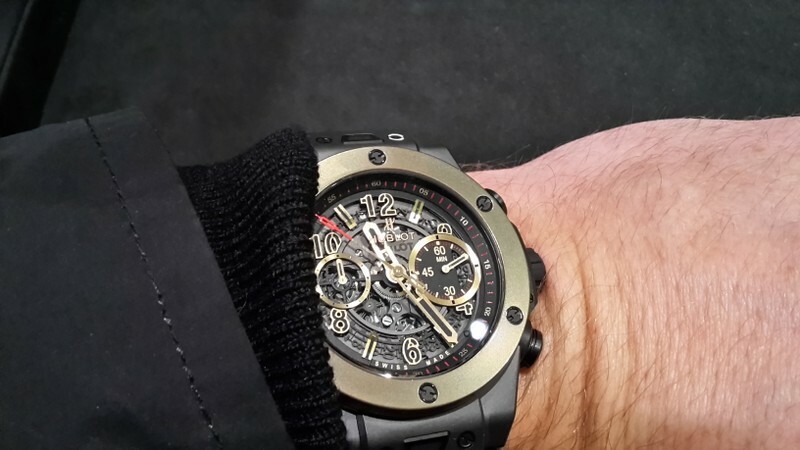 Breguet Type XXI, Hublot Big Bang Evolution, Hublot Aerobang Black Magic.